The word budget may seem out of place in an article about a $100,000 wedding. However, even the most lavish extravaganza must have an appropriate budget so that the planner can be sure that everything has been covered, down to the smallest detail. Although the average wedding in the United States costs only about $28,000, according to a survey of couples by TheKnot.com, you may be in a situation where the families of either the bride or the groom have a great many business or political connections, and everyone needs to be included. In these situations, planning the wedding is more than just a matter of sending invitations to your family and friends. It truly involves being certain that no one feels snubbed. If this is your situation, how should you spend the money, so you are able to accommodate all the guests, make them feel welcome, and be a genuinely gracious host family? In particular, how can you do this while maintaining some control over your expenses? When planning a large wedding, you need to be aware that your budget will need to include everything from the wedding dress to the cost of the reception and the ceremony. You should also allow approximately $8,000 to pay for the assistance of a wedding coordinator. An event of this size is much too complicated for most families to organize without assistance. In addition, you should set aside an additional $7,000 to cover expenses that may exceed your budget, or not be included in the budget. This would include items such as cost overruns, wedding gift bags for out of town guests, hotel lodging for family members, and travel expenses. Finally, the young couple may want to budget approximately $5,000 for their honeymoon expenses. With the remaining $80,000, how should the money be spent so that you are able to cover everything necessary to have a tasteful, but lavish celebration? You should begin by using a wedding budget calculator. One handy example can be found online at TheKnot.com, a handy wedding planning website. Using The Knot as an example, you enter the amount of money you plan to spend, the number of guests you expect to have, the number of female attendants, and the number of male attendants. If you already know how much a particular item is going to cost you, you can enter that amount in the “Actual” column on the wedding calculator. The calculator will then come up with a estimated budget, and make adjustments based on any actual expenses that you have already decided upon. There are limitations to using a wedding calculator, however. For example, they do not include the cost of the rehearsal dinner, wedding gift bags for out of town guests, the bridesmaid luncheon, clothes for the parents of the bride and groom, the honeymoon, travel expenses, lodging for relatives, and many other expenses that you may incur. If your budget needs to include some of these items, too, you may need to cut back on the amount that you enter into the wedding budget calculator, to accommodate these extra expenses. However, assuming we have already set aside enough for extra expenses, we’ll start with $80,000 for a wedding with 350 guests. We will also plan on six bridesmaids and six groomsmen. If your needs are a little different, this budget will give you an idea what you can expect. Then, you can talk with your wedding coordinator, or go online at TheKnot.com, and make any needed adjustments. When working with a budget, it is helpful to buy products that are affordable and designed to keep your costs low. Amazon, for example, sells a large selection of wedding supplies at reasonable prices. While you may not get everything you need from Amazon, or a similar site, it is wise to make every effort to save money in incidentals so you have more money to spend on the items that are more important to you. Quick link to explore a variety of wedding supplies from Amazon. This includes both the rental for a reception hall or hotel ballroom, as well as anything else you will need to rent. As an alternative, if you have a large home where the reception will be held, the money could also be spent to rent a tent for the backyard, along with tables, chairs, china, silverware, and portable toilets. I highly recommend portable toilets for an event this size, if you do not wish to have a lot of guests roaming through the private areas of your home looking for bathrooms. There are some extremely elegant portable toilets that are designed just for weddings and similar formal occasions. This amount is based on 350 people multiplied by $68.57 per person. If you are using a caterer, confirm that the amount you are spending includes any taxes and gratuities. This is an area that can easily exceed the estimate if you are not careful. This includes the cost of alcohol, mixers, non-alcoholic beverages and professional bartenders to mix the drinks. Again, be certain that your contract includes any taxes and gratuities. Having an open bar can be very expensive, so make sure you stay within the budget for this item. If you are only serving wine and beer, you may not need bartenders. This could cut the cost for this item substantially. Although this may seem like an adequate amount, many designer gowns cost $5,000 – $10,000, or more. The bride may want to make her selection before finalizing other budget items. If your dress is lavish, you may want to wear a simple veil. In this case, the extra money can be spent on the dress. This is the total amount to be spent for both the bride and groom, combined, for their wedding bands. However, it does not necessarily include what the groom spent on the engagement ring. This includes the cost of your reception band or DJ. Make sure you work out with them in advance the time they expect to start and finish performing, and any breaks they intend to take. You will also need to find out when they will need to see your “must have” playlist. If you only request a video of the wedding ceremony, this expense could be cut by half, or more. Many young brides and grooms prefer not to have a video of the reception, because they want to avoid having a tape of any embarrassing moments … people stumbling on the dance floor, having too much to drink, or making inappropriate toasts. I have known of some brides who actually threw away the reception tape once they saw it! This is based on an estimate of 350 invitations at $5.70 each. If you plan to order very formal embossed stationery, which may require extra postage, and then put stamps on the envelopes for the return cards, you may need to increase this estimate by 10 – 20%. Remember that you will most likely also want to hire a professional calligrapher to address over 1000 outside envelopes, inside envelopes, and return envelopes! This category includes any announcements you send after the wedding, as well as save-the-date cards, menu cards, place cards, embossed thank-you cards and anything else that you may have printed, such as the wedding program. This is also an area where you may want to add another 10 – 20%. If there will be a lot of heavy drinking at the reception, you will want to be sure you arrange for transportation for as many people as possible. This is one advantage of having the reception held at a hotel. Many people will make plans to spend the night there. If not, arrange a shuttle or other transportation for any inebriated guests. This is based on an estimate of spending $3.43 each for 350 wedding favors. You can order wedding favors through many bridal shops. However, you will also want to shop online for items to commemorate your wedding at wedding websites, such as TheKnot.com or FavorsYouKeep.com. One of the best places to find gift items that are thoughtful and will commemorate your wedding day is at Things Remembered. 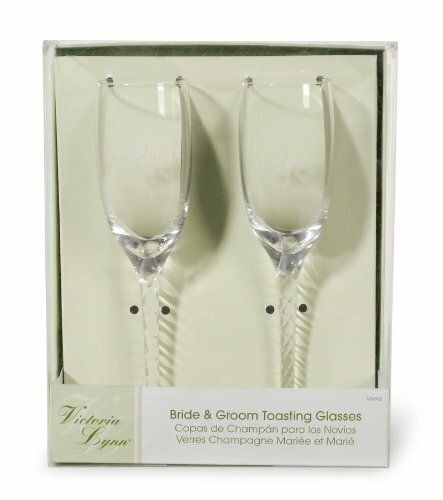 They offer a wide selection of champagne flutes, silver plated photo albums, jewelry, picture frames and similar items that can be engraved with a special message or your wedding date. Things Remembered operates kiosks in shopping malls around the United States, and they also have an online store at ThingsRemembered.com. The young couple may also want to give their parents a special day for relaxation after the wedding. One of the best gifts we received from one of our daughters was a spa day at a local luxury hotel! The total cost of this wedding, including the wedding dress, wedding venue, reception venue, transportation, wedding bands, food, and alcohol comes to $80,000. Of course, your personal wedding budget will differ from this, depending on your taste and preferences. In addition, remember that we planned on an additional $20,000 to be used to hire a wedding coordinator, handle cost overruns, and pay for a honeymoon. The total cost, therefore, is approximately $100,000. Whatever amount you decide to spend, start with a realistic budget, and stick with it. You want your wedding day to be memorable, without hurting you or your family financially. If you would like to write for InfoBarrel, click here to sign up. These champagne glasses are the Number #1 Best Selling champagne glasses on Amazon. They are a perfect example of an item you can buy for less on Amazon than you will probably find elsewhere. Don't forget to keep track of your expenses, however. All those small sums can add up quickly! 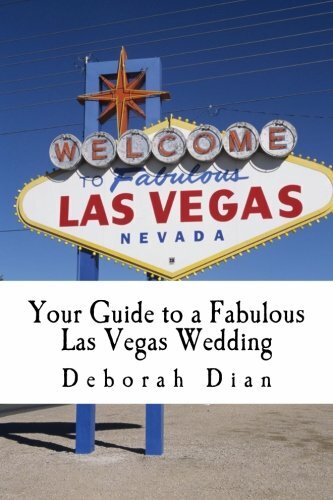 Have You Ever Thought About Getting Married in Las Vegas? Las Vegas is considered the Wedding Capital of the world. There are some very elegant, upscale wedding venues there, as well as some that are much more casual. This book has a number of excellent suggestions to help you.